Enrich your life with a bit o' Irish luck and plant a piece of Ireland in your home or garden. For the most Irish luck, it is recommended to pair the packet of Official Irish Shamrock Seeds with Official Irish Dirt! 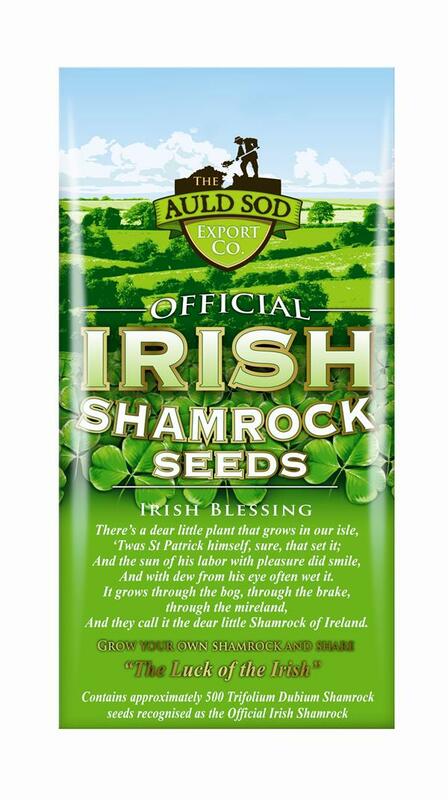 - Pouch includes approximately 500 Shamrock seeds recognized as the Official Irish Shamrock. - Detailed growing instructions on the packet for both indoor and outdoor use.